We believe that youth deserve to be recognized for their involvement & contributions to our community. 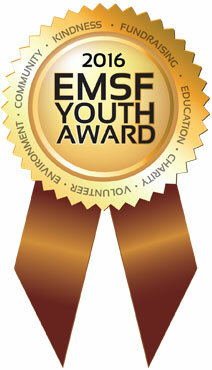 In 2014 we were pleased to introduce the 1st Annual EMSF Youth Awards replacing the Former Ambassadors Contest. 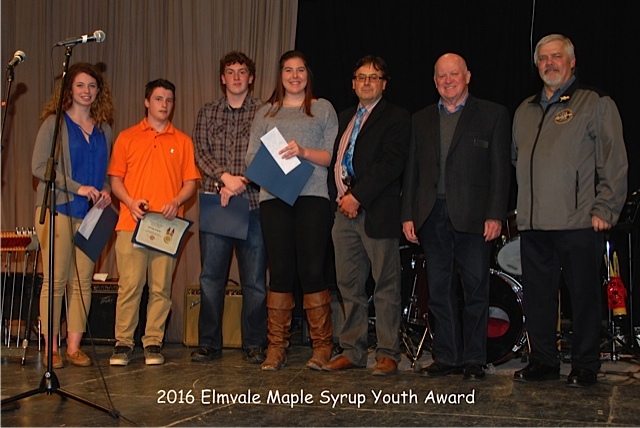 Annually, Elmvale Maple Syrup Committee will seek nominations for the Youth Awards with the awards recipients announced at the Festival Concert presented on friday evening at the High School. Nominate a youth you think makes a noteworthy difference in our community. Nominations for the 2017 Youth Awards will be accepted March 1st, 2017 through until April 14th, 2017. At which time, the online nomination submission form will be available for your convenience. Each of these students were nominated by a member or members of the community, and selected by our board of directors. Awards were earned based on individual merit for their hard work, generosity, dedication, service to others, commitment to themselves, their families, and their demeanour the list goes on.. You made Elmvale proud. Join us in congratulating them on their accomplishments.